Loreau Fascicule I 416, Webel 66. One of a total of 195 copies. On wove paper by Montval. 38 x 28.5 cm (14.9 x 11.2 in). Sheet: 39 x 29,1 cm ( x 11,4 in). 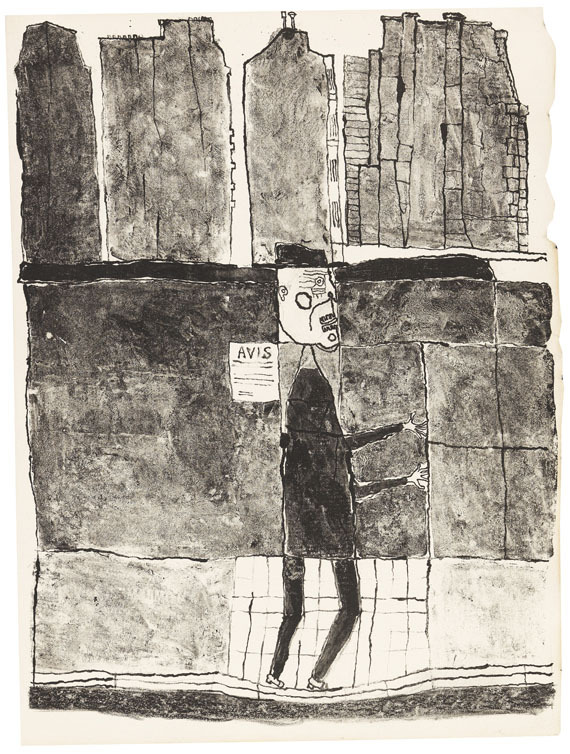 Sheet XII from the series "Les Murs", printed by Mourlot Frères in 1945, released by Les Éditions du Livre in 1950. 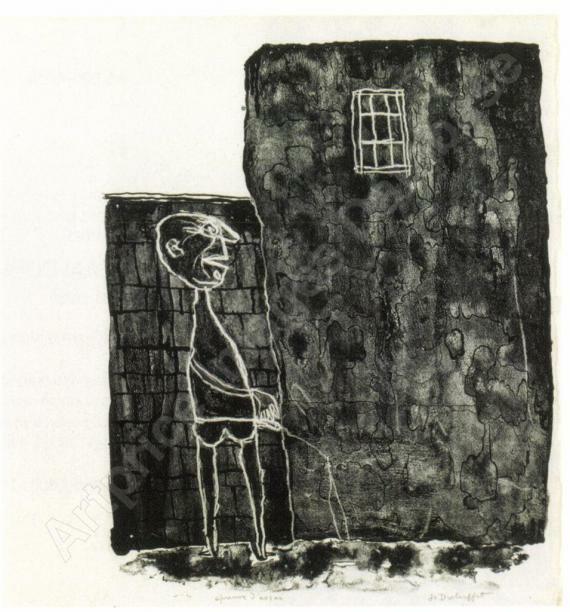 LITERATURE: Dubuffet. Grafik, ex. cat. 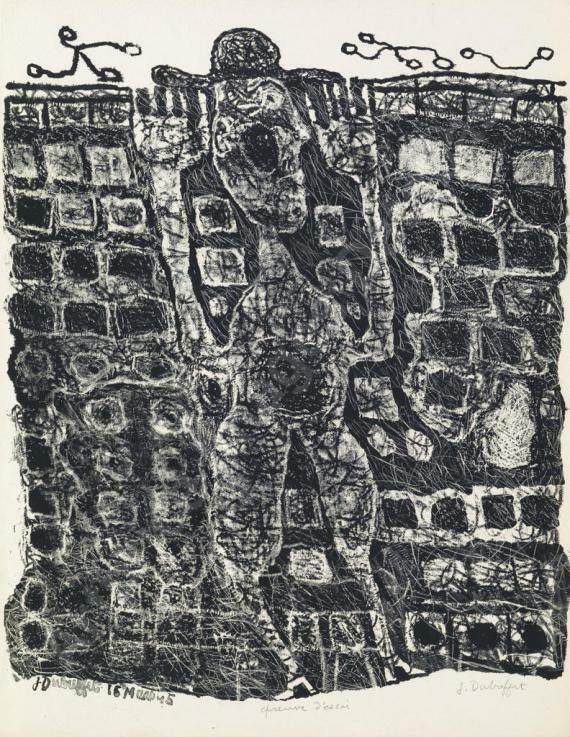 Silkeborg Kunstmuseum, Denmark, p. 62, illu. 60 (presumably different copy). In good condition. All in all slightly discolored.